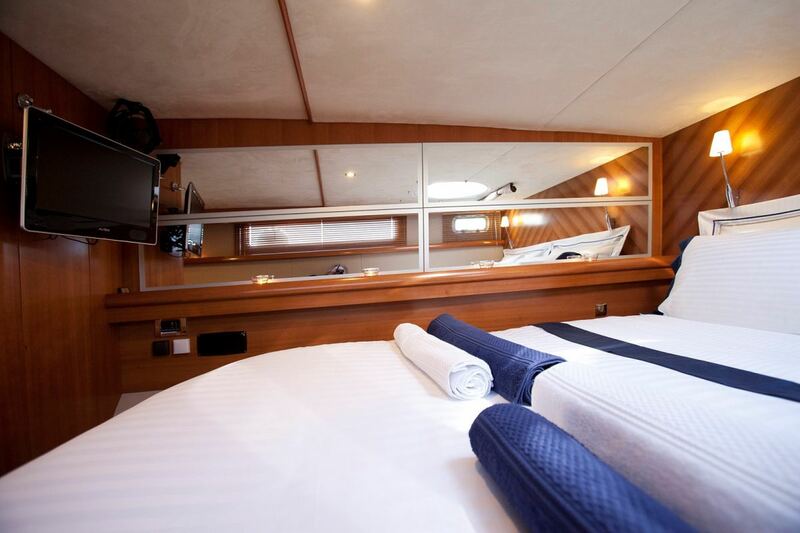 This Cumberland 46 was built by Fountaine Pajot. With its skipper, she welcomes up to 6 passengers on board to explore Thailand. 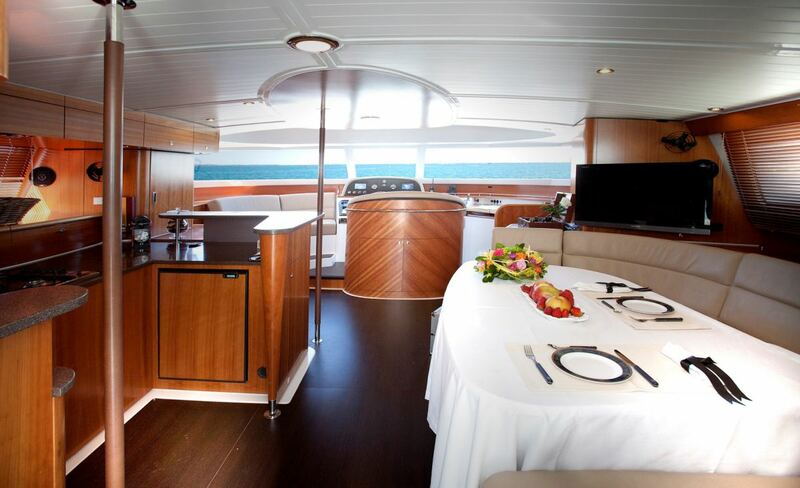 Cumberland 46 can reach a cruising speed of 17 knots thanks to its 2 powerful 285 hp engines. 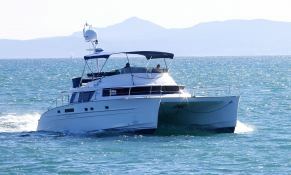 This skippered motoryacht available for charter in Thailand. 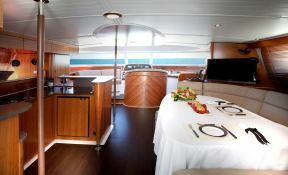 This motoryacht is available for yacht charter with a base price of 7 499 € (approximatly 8 457 $).